Dr. Comella is a world-renowned expert on regenerative medicine with a focus on adipose derived stem cells. 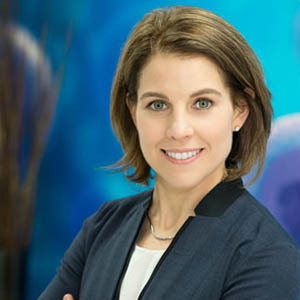 She was named number 24 on Terrapin’s list of the Top 50 Global Stem Cell Influencers and number 1 on the Academy of Regenerative Practices list of Top 10 Stem Cell Innovators. Most recently, Dr. Comella made the list of Top 50 Functional and Integrative Medical Doctors/Scientists in the country by DrAxe.com, one of the most visited natural health websites in the world. Dr. Comella has pioneered stem cell therapies from various sources including cord blood, bone marrow, muscle, and adipose. She led the team that gained the first ever FDA approval for a clinical trial using a combined cell and gene therapy product in the heart. In addition to advanced cell culturing experience, Dr. Comella has managed the development, manufacturing, and quality systems of a variety of cellular products. She has developed a wide range of regenerative techniques and products that have now been successfully implemented into the clinic setting. Her professional experience includes positions in several companies including US Stem Cell, VetBiologics, Tulane University and Osiris Therapeutics. Dr. Comella progressed from research engineer at Osiris Therapeutics developing stem cell therapies for osteoarthritis to building and managing the stem cell laboratory at Tulane University’s Center for Gene Therapy. She was the co-founder and Chief Executive Officer of Stemlogix, a regenerative medicine company focusing on veterinary medicine. She is currently serving as the Chief Scientific Officer and board member of US Stem Cell, a publicly traded company focusing on the discovery, development, and commercialization of autologous cell therapies for the treatment of degenerative diseases. She has been responsible for the development and implementation of cell therapies in the clinic for a variety of different indications for more than 7000 patients. Hundreds of practitioners world-wide have provided stem cell treatments to their patients using her protocols. Dr. Comella has a PhD in Stem Cell Biology and holds both an MS and BS in Chemical Engineering.